The official MiriamMakeba.org is a dedicated platform designed to provide the beloved Admirers and Fans of the revered Legendary Songstress of South African Music; with a wealth of facts, insights and touching enlightenment of her life’s journey. MiriamMakeba.org also provides the general guidelines and information about the Miriam Makeba Foundation and the Miriam Makeba Estate. Uppermost in the value equation of the renowned Dr. Miriam Makeba, was her dedication to giving back to the community at large in a tangible way, which feeds into the philosophy behind the creation of MiriamMakeba.org. A centerpiece of the Miriam Makeba Estate is the Makeba Centre For Girls Trust, now known as DR. MIRIAM MAKEBA - MAMA AFRICA CULTURAL & SOCIAL TRUST; her very first and original Trust created by its founder, Dr. Miriam Makeba in 1999; an initiative devoted to the holistic development of young destitute girls from at risk communities across South Africa. This is the embodiment of the dreams, aspirations and plans of the late Dr. Miriam Makeba that has seen its maturation since she first launched it in 1999; an organic idea that is designed to flourish. Based in Midrand, Johannesburg, the existing Makeba Centre For Girls (home), reminds us that creating a Legacy for positive change takes a combination of determination, spiritual commitment and visionary perspective; ingredients that exist in each one of us that is capable of making a difference in the lives of those that are in dire need. Or as “Mama Africa” so eloquently put it - "Honestly, I'm just a little old singer, I am not a politician, I'm not an economist or anything of the sort. I just wish that people could be soldiers. We can all be soldiers not to fight against each other but to fight against poverty, illnesses, disease, greed and all the ills of the world, you know just be an army for all goodness". Amongst the features of MiriamMakeba.org is the Digital Museum. Comprised of an audio, visual treasure-trove of archives (predominantly from the Miriam Makeba Estate) of the late “Mama Africa”, which chronicle her performances, groundbreaking appearances across the world stage and include rare footage seldom seen by the public; containing content that can only be described as breathtaking. The user friendly design of MiriamMakeba.org, takes the visitor through a journey into the life of one of the most powerful iconic personalities to come from South Africa, whose impact was felt globally on multiple levels, wherever and whenever Dr. Miriam Makeba performed, spoke or appeared. This facet of MiriamMakeba.org, allows Individuals, Organizations, from Civil Society the Public and Private sector to make direct contact with the Family; it's Directors and Trustees namely Mr. Nelson Lumumba Lee and Ms Zenzi Makeba Lee. Executor of the Miriam Makeba Estate namely Estate Late Zenzile Miriam Makeba, Director of the Miriam Makeba Foundation, Trustee of Makeba Centre For Girls Trust now Known as Dr. Miriam Makeba - Mama Africa Cultural & Social Trust and Grandson of Singer Miriam Makeba. Singer, Grand-Daughter of Singer Miriam Makeba, Director of the Miriam Makeba Foundation and Trustee of Makeba Centre For Girls Trust now Known as Dr. Miriam Makeba - Mama Africa Cultural & Social Trust. Co-Founder and Executive Producer partnered with Dr. Miriam Makeba for "The Tour Of Hope"; in which made its debut in Johannesburg, South Africa in 1993, just before the Republic of South Africa's very first democratic elections in 1994. Respectively, a Director of the Miriam Makeba Foundation and Trustee of Makeba Centre For Girls Trust now known as Dr. Miriam Makeba - Mama Africa Cultural & Social Trust. 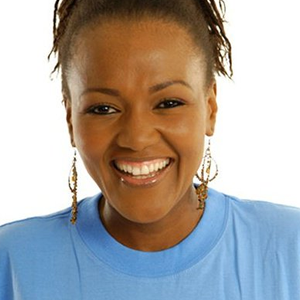 Leading Television Personality & Founder Of Sports Heroes Walk Against Aids and Director of the Miriam Makeba Foundation. 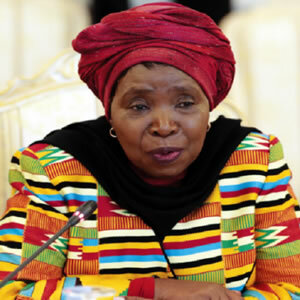 The Honourable former Chairperson of (AUC) The African Union Commission Her Excellency Dr. Nkosazana Dlamini-Zuma. Head Patron of the Miriam Makeba Foundation. Mr. Harry Belafonte, Goodwill Ambassador for the United Nations Children's Fund (UNICEF) and Legendary human rights activist and multi-talented artist. 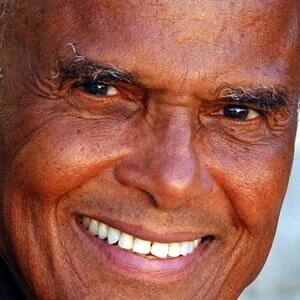 In 2013, Mr. Belafonte was honored Ambassador of Conscience by Amnesty International. Recently, Ambassador Harry Belafonte founded the Sankofa Justice & Equity Fund, a non-profit social justice organization that utilizes the power of culture and celebrity in partnership with activism. It is a space for artists to contribute their talents to build awareness and confront the issues that negatively impact marginalized communities. Respectively, a Patron of the Miriam Makeba Foundation. 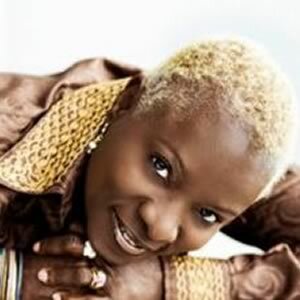 Grammy-winning Beninese Singer Angélique Kidjo is a symbol of Africa's creativity, energy and beauty. 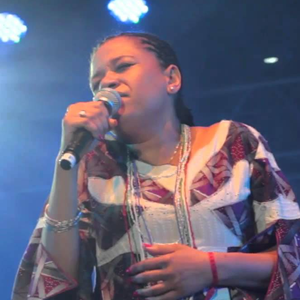 Her music is a unique blend of her own very West African heritage combined with funk, jazz, Latin music and much more. She founded the Batonga Foundation to empower young women and girls in Africa through secondary school and higher education. Kathleen Cleaver, an American professor of law, known for her involvement with the Black Panther Party. Kathleen Neal Cleaver, who currently holds an appointment as a senior lecturer and research fellow at Emory University School of Law, has spent her life participating in the human rights struggle. She has received fellowships from Radcliffe College’s Bunting Institute, the W.E.B. Du Bois Institute of Harvard University, the Center for Historical Analysis at Rutgers University, the Schomburg Center for Research in Black Culture, and the Center for Scholars and Writers of the New York Public Library and Alphonse Fletcher Sr. Fellowship from Harvard University to complete Memories of Love and War, a memoir still in progress. Cleaver co-founded and produced the International Black Panther Film Festival based in Harlem from 1999 through 2003. 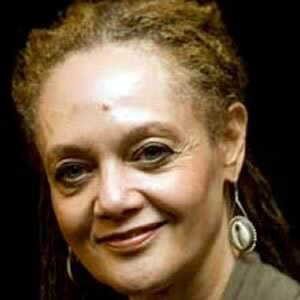 Kathleen Cleaver’s path continues to engage her in forums, teaching, writing, and film projects that incorporate human rights concerns both within the United States and across the African Diaspora. President and Founder of (PAFF), Ayuko Babu, Executive Director of the LA-based Pan-African Film & Arts Festival, the world's largest festival dedicated to the exhibition of independent Black films; a showcase for a broad spectrum of Black films from diverse cultures around the globe. Mr. Babu was a delegate to the 6th Pan African Congress in Dar Es Salaam, Tanzania in 1974. In 1984, he brought Les Ballets Africains de la Republique de Guinee to the Olympics in Los Angeles. He was Co-Chair of the Program Committee for The Nelson Mandela Reception Committee at the Los Angeles Coliseum, in 1990. Mr. Babu holds a Bachelor of Arts degree from California State University, Los Angeles and attended the UCLA School of Law. The President and CEO of AC Horoya Champions of Guinea and PDG of Guinée Games, Antonio Souaré. 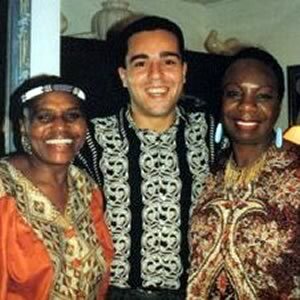 A Family friend and confidante for many years to the late Dr. Miriam Makeba. Antonio was able to make such a positive impression by simultaneously soaking up the wisdom dispensed by the legendary Songstress and ask the questions that mattered most and subsequently cultivated his mind towards an astuteness beyond his years on a wide range of life experiences. Broadcaster; Producer and Director Born in Nigeria and educated in Britain. Faith Isiakpere is a Life Member of British Academy of Film and Television Arts [BAFTA]. He started as a performing artist with the Greenwich Young People’s Theatre in London; by 1974 enrolled to study Film and Television Production at West Surrey College of Art and Design 1975-1978 From 1978- 1991. 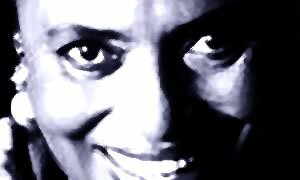 In 1986, Isiakpere had directed for the BBC and screen played an autobiographical documentary entitled "EXILES" on the life and times of Legendary South African and globally renowned late Singer Miriam Makeba - Mama Africa; for whom respectively, he directly engaged and realized the film with. 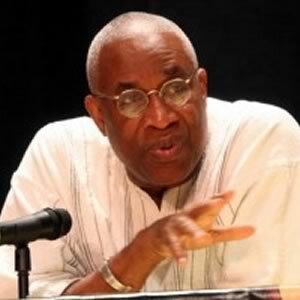 Isiakpere worked in the UK for British Broadcasting Corporation (BBC), Thames TV, Central TV and between 1991-1993 – he worked in the United States of America as a free-lance producer for Black Entertainment Television (BET). In 1999 he started working in Nigeria as a Broadcaster for Minaj and continued until present as both broadcaster and consultant to Nigerian Media Networks. Isiakpere was instrumental in the establishment of Nollywood when he became head of Content and Broadcasting at Minaj Broadcasting International [MBI] and Minaj System Television and Radio[MST] in Nigeria. 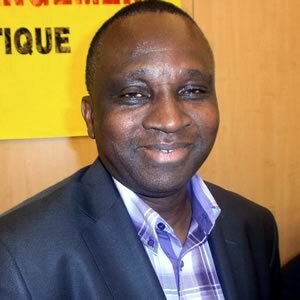 He managed to turn the independent Network broadcasting from an 8 -hours a day network to a daily 24 hours Family Entertainment Channel; broadcasting from different regions of the vast country of Nigeria in both Television and Radio; with at least 80 % being local content. Isiakpere has completed many award-winning production including 4 feature films, numerous television and stage productions- and is currently working on his 5th feature film and a feature length documentary on ‘Mandela’s Africa”. 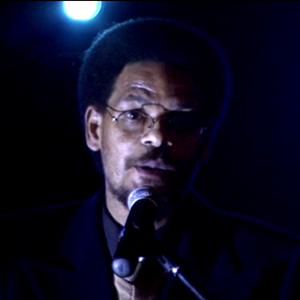 Mbongeni Ngema, a South African Writer, Lyricist, Composer, Director and Theatre Producer. 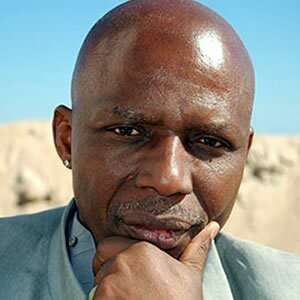 He was previously married to actress Leleti Khumalo who received a 1988 Tony Award nomination for Best Actress in a Musical for Sarafina!, as well as starring in the leading role in South Africa's first Oscar-nominated film Yesterday. He co-wrote the multi-award winning Woza Albert! In 1997, Ngema was appointed as a visiting lecturer at the University of Zululand to teach his unique artistic technique and subsequently produced the first recording album released by the university’s music department. 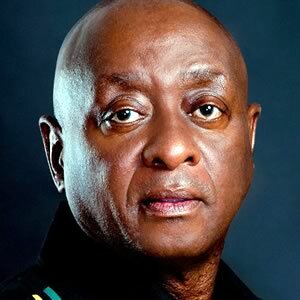 In 2003, he was appointed as Artistic Director for the 2003 Cricket World Cup; the following year appointed as one of the organisers of the 10th Anniversary Celebrations of South Africa’s democracy. He has been entrusted by the KZN Department of Arts, Sports and Recreation for establishing and managing the recording studio and record company, The KZN Music House. Ngema has recently been conferred with an honorary doctorate from the Good Shepherd College of Religion, Culture and skills training. This prestige was in honour and recognition of Ngema’s service to South African music and on-going impact in the arts sector. 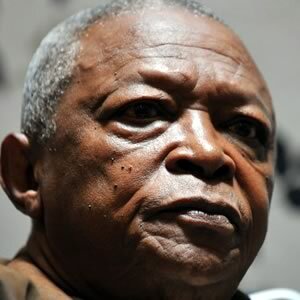 Mbongeni Ngema was recently the recipient of a prestigious Life Time Achievement Award, presented to him at the Naledi Awards ceremony held in Johannesburg in 2014. The respective names featured on the list of MiriamMakeba.org, comprised of Patrons, Senior Executive Members and Executive Members; have been featured because of their individual respective experiences, friendships, association, acquaintance and synergies with the late Dr. Miriam Makeba; as hers was to theirs respectfully; from both her musical and philosophical contributions during her lifetime. It is within this context that we recognize the persons from these three categories are comprised of respective individuals for their spiritual and moral support for the advancement of MiriamMakeba.org's aims and objectives; taking note, that their roles prescribe no fiduciary responsibilities within the administration of MiriamMakeba.org. The late Miriam Zenzile Makeba, an icon, born in South Africa on the 4th of March 1932, passed away in Castel Volturno, Italy on the 9th of November 2008. She left behind the Dr. Miriam Makeba Legacy both in South Africa and throughout the world. Dr. Miriam Makeba also known as "Mama Africa" was an artist, an Empress of song, a mother, a grandmother, a great grandmother, a humanitarian, a philanthropist, an activist and a major contributor to cultural and social development worldwide and even after her passing continues to represent the "Flame of Unity in Cultural Diversity". "Her sweet, melodic voice, her haunting melodies and rhythmic compositions steeped in the culture of her native land and continent, South Africa and Africa, moved the world to appreciate her music and open their hearts to her message of her life struggle for freedom and dignity for herself and her people." "To Miriam Makeba for her exceptional contribution to the field of music and the struggle for a free democratic South Africa." Dr. Miriam Makeba received the "Dag Hammarskjold Peace Prize" in 1986 for her work as a delegate to the United Nations. In 1999, Dr. Miriam Makeba was awarded the "Honor of Humanitarian Contributions through Music Award" by former President of The Republic of South Africa, the Honorable His Excellency former President Nelson Mandela. In 1993 she was honored by the United Nations Educational, Scientific and Cultural Organizations and awarded UNESCO’S "Grand Prix du Conseil International de la Musique". "She has been our country’s Ambassador not only to Africa but all over the world long before this appointment." Makeba was granted asylum in Guinea, west Africa. In 1963 she witnessed the birth of the Organization of African Unity (OAU) in Addis Ababa, Ethiopia. She performed for the Heads of States and used her voice of justice to promote unity and defend human rights. Makeba continued to record songs and toured intensively. That same year, was asked by Government of Guinea to address the United Nations General Assembly as a Guinean Delegate. She addressed the United Nations General Assembly twice, on July 16, 1963 and March 9, 1964, speaking out against apartheid. In 1967, the song "Pata Pata" was released in the United States and became a hit worldwide. It has since been re-recorded by numerous International Artists. 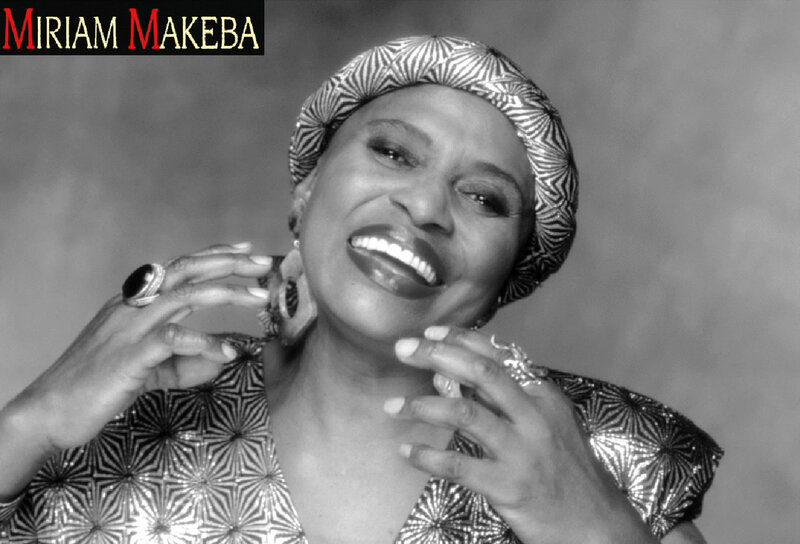 Makeba won a Grammy Award in the Traditional / Folk category for her 1965 album "An Evening with Harry Belafonte and Miriam Makeba" and in 2000, she was nominated for a Grammy Award in the "Best World Music" category for her album "Homeland". The ban on Makeba’s records was lifted in South Africa in 1988 and she returned to her homeland in December 1990 for the first time and later repatriated permanently. Her contribution to African Women finding their rightful place on the world stage was substantial. Even in her last hours, Makeba was seen as supportive of the politically oppressed – her last concert was in support of a besieged Italian writer. Makeba always said "I do not sing politics, I merely sing the truth", using her voice to express, spread the message and bring about change for all those facing injustice around the world. In 2001, Makeba was awarded the Gold Otto Hahn Peace Medal by the United Nations Association of Germany (DGVN) in Berlin, for "outstanding services to peace and international understanding, especially for her decades of opposition to racism and apartheid in South Africa, which made her a role model in the struggle for human rights, human dignity and tolerance". "I hope that your example, one of the most stunning examples of courage and generosity there can be, will remain a model for the citizens of the world". Makeba was honored by the Tunisian President Zine El Abidine Ben Ali in 1995 with the Highest Decoration of Merit of Tunisia. "For nearly a decade, FAO Goodwill Ambassador Miriam Makeba was a strong supporter of FAO’s fight to reduce hunger and improve the livelihoods of the world’s poorest people. Mama Africa spoke out against the violence, inequality and disease that kept many people, especially women and children, living in conditions of extreme poverty. We will miss her energy and her respectful concern for the world’s most vulnerable". Makeba had been FAO’s Goodwill Ambassador since 1999 and on her last official mission on behalf of FAO, in March 2008, she traveled to the Democratic Republic of Congo to visit FAO’s emergency projects designed to help survivors of violence and HIV positive women and men and to help feed their families by reviving their livelihoods through farming. Makeba was honored in 2002 by the Royal Swedish Academy of Music and awarded the Polar Music Prize, presented to her by King Carl Gustav XVI of Sweden in recognition of exceptional achievements in the creation and advancement of music. "Now that Mama Africa has left this earth, it will not take long before she is given her new title Mama Heaven".